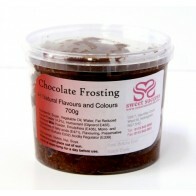 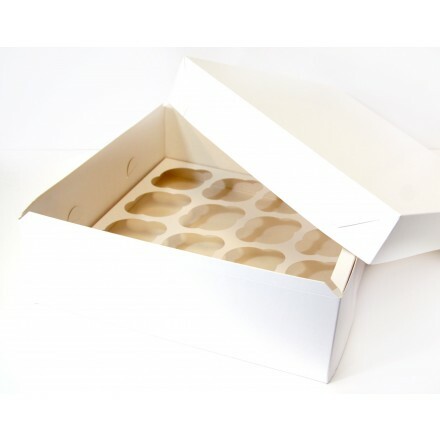 Our 12" and 15" Cupcake boxes come complete with insert to keep individual cakes in place. 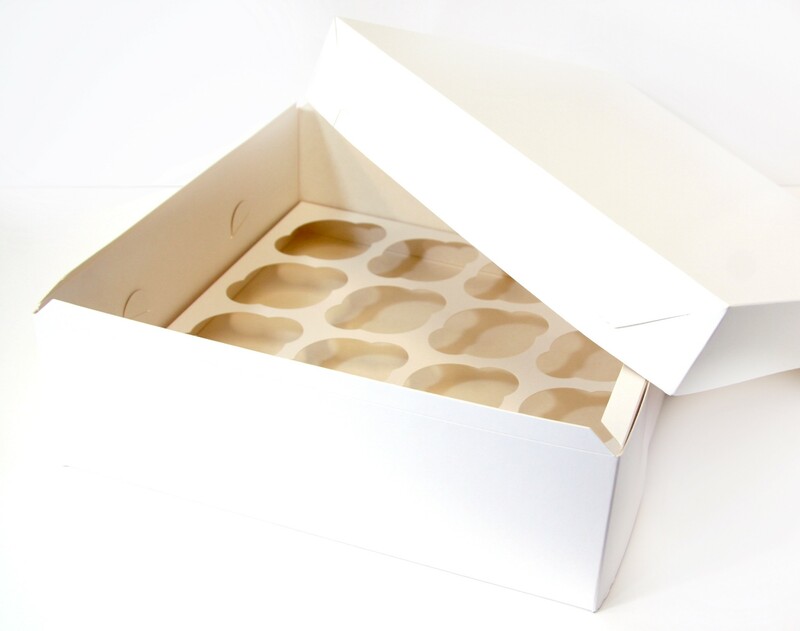 These boxes have plain white lids, no window, and are similar in look and style to traditional white wedding cake boxes. 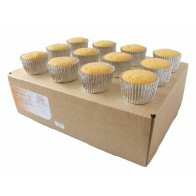 A 12" cupcake box holds 16 cupcakes, 15" holds 25. 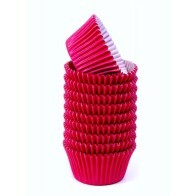 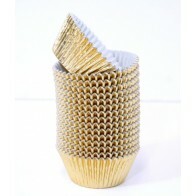 These cupcake boxes are 10cm high, and the holes in the inserts measure 6cm diameter.